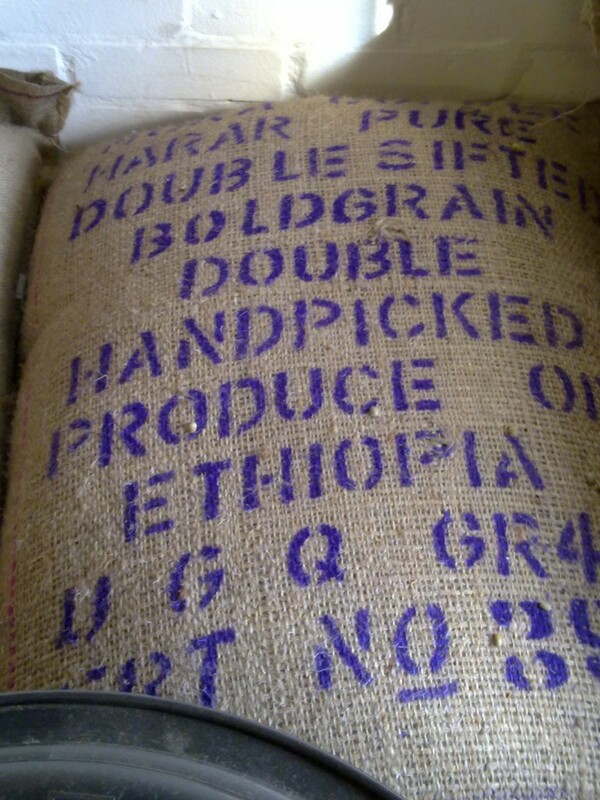 Freshly roasted Ethiopian coffee in Brick Lane ready for our Swiss Bean to Cup coffee maker – that’s globalisation for you! Hope the growers get their fair share of the profits! !